This project included the phased street and utility improvements of Indian School Road (Drinkwater Boulevard to Pima Road). Wet utility construction involved miscellaneous water line and service relocations, general drainage modifications, and 3,800 LF of 72" storm drain piping. 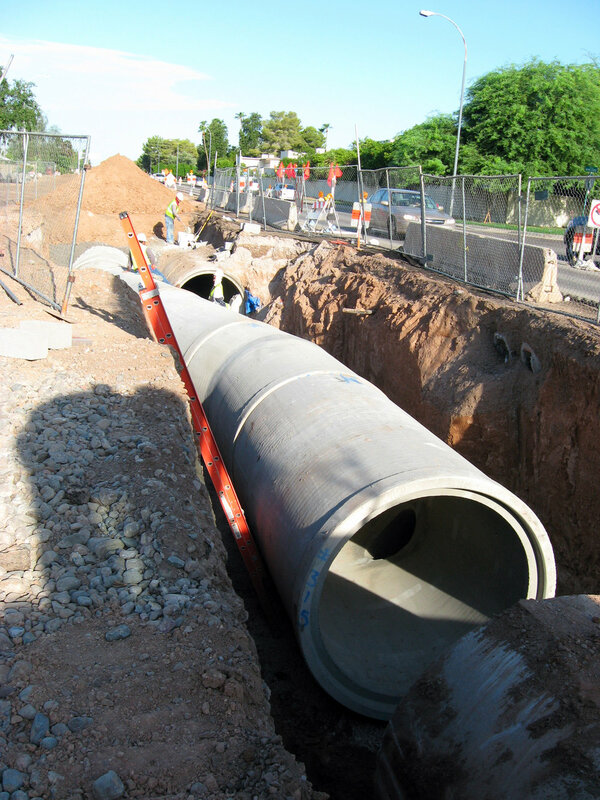 Work on Phase 1 was from Hayden Road to Pima Road and Phase 2 was from Drinkwater Boulevard to Hayden Road.